For 5 years and counting, CODA have been commissioned to be the creative designers of the seasonal ASDA George Home Lookbook and it’s been an incredible journey to go on with them to date. Each coming season Coda and ASDA wanted to push creativity and design as far as possible to create a lookbook showcasing their upcoming trends and creating more impact than the previous issue. 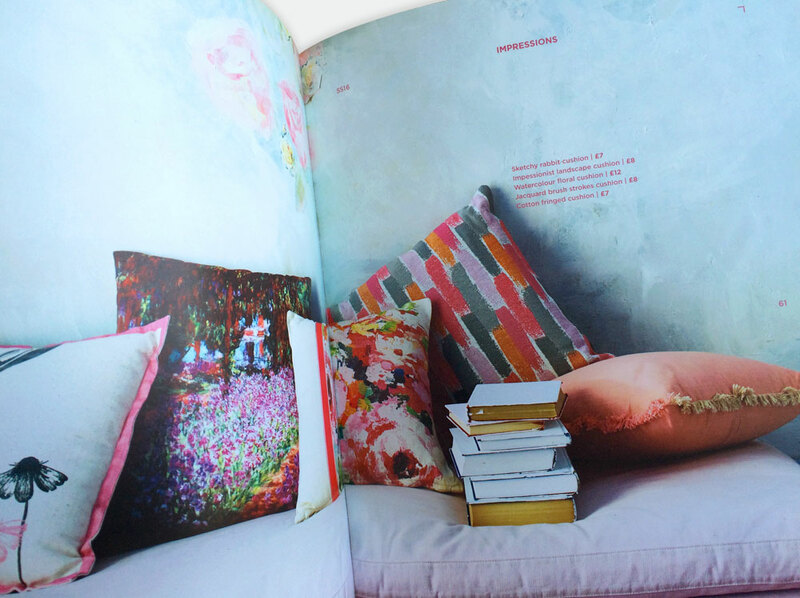 Its a project that has an element of freedom, with every season exploring new layout design and introducing special finishes, unusual covers and print techniques that surpass previous ASDA George Home Lookbook editions. This season had six distinct trends and to separate them, we created range introductions, featuring a double page of colour taking reference from the George Home paint colours and using a simulator paper to separate them featuring introduction text and key trend patterns in striking screen printed white ink. We also developed a fresh grid layout that allowed the images to be full size in varying formats throughout the lookbook, we then added an extra dimension by having the list of product names and prices placed on top of the photography creating a dynamic and interesting style. 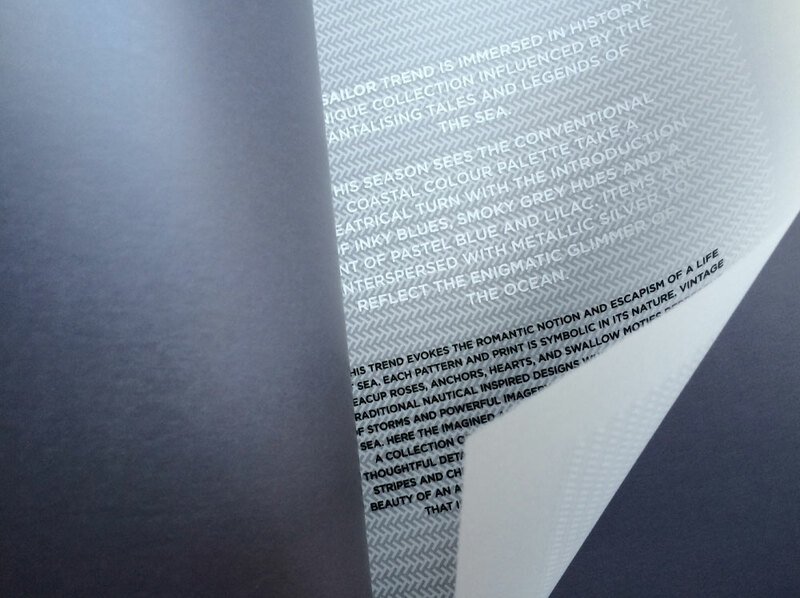 The paper used on each lookbook has been just as important as the design, on the inner we used GF Smith Pheonix Motion, a premium paper which gives a very high end finish and HD print quality and therefore showcases the photography beautifully, however the cherry on top of the cake – was the cover! 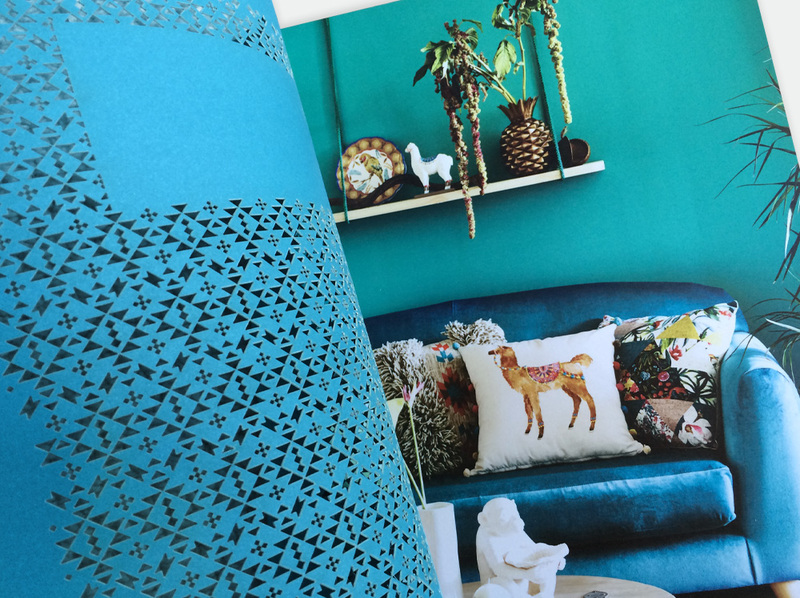 We created a bespoke pattern directly from the hero trend ‘Island Way’ and had the pattern laser cut in to GF Smith Mohawk uncoated paper, creating a very visually interesting teaser to the contents. 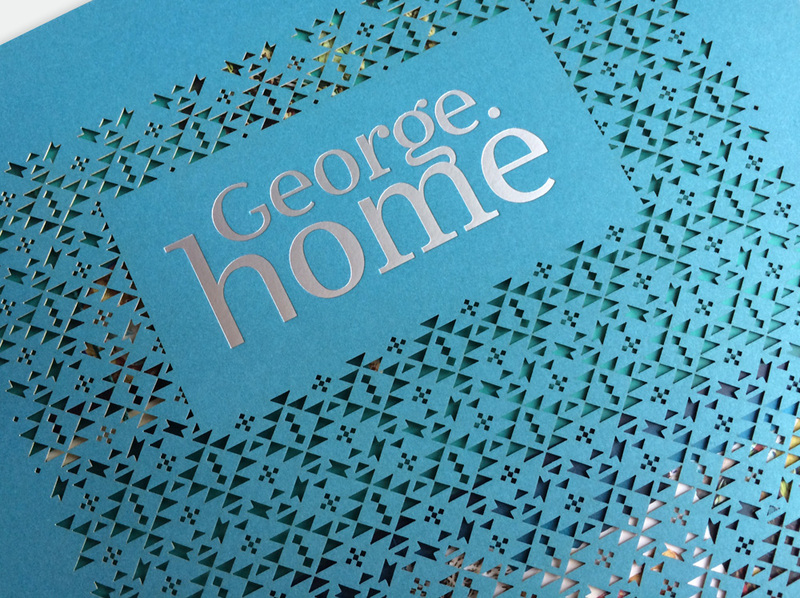 This lookbook was unveiled at the ASDA George Home Lookbook press launch to high praises and accolades, each improved issue of the lookbook helps to move ASDA George Home in to new territories in Media and PR. We are about to start the Autumn Winter 16 season very shortly and we already have some exciting ideas on how to make this one the best yet! – watch this space!